Formed from tributaries (one coming from Shoreditch and one from the Barbican) merging in the Finsbury Circus area of Central London flowing through the middle of the City of London underneath what is now the Bank of England through Poultry & joining the Thames between the modern day Southwark & Cannon Street Bridges. The name Walbrook which gives its name to the existing City ward is thought to originate from the fact that the river/brook ran through the London Wall – a defensive wall built by the Romans around London (then known as Londinium). 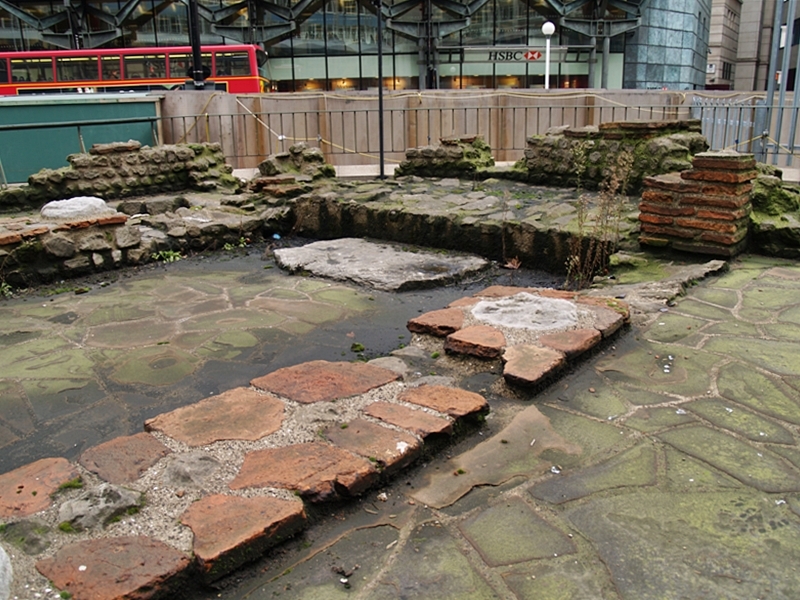 The Romans built built the Temple of Mithras on the east bank of the Walbrook in the middle of the 3rd century AD. Mithraism was an ancient religion of the Persian god of light and the sun was popular among the Roman military and a strong rival to Christianity in the first three centuries AD. In this temple Roman soldiers sought valour and virility in shower-baths of hot blood from slaughtered bulls.The temple was discovered accidently during construction work beside the route of the Walbrook during the 1950’s. To enable the construction work to continue the remains were relocated to nearby Queen Victoria St where they can still be viewed. Various artifacts discovered are displayed at the Museum of London. After Londinium was captured by the invading Anglo-Saxons during the late 6th century, all the British inhabitants were forced to live on the east bank of the Walbrook while the Saxons would reside on the west. The upper part of the Walbrook was covered over in 1440 when the Church of St Margaret Lothbury was built and vaulted over the stream. The lower part at Dowgate near the Thames existed until later and was recorded by the historian John Stow that the water had “such a swift course that in the year 1574 a lad of eighteen years minding to have leapt over the channel, was borne down that narrow stream towards the Thames with such violent swiftness as no man could rescue or stay him”. 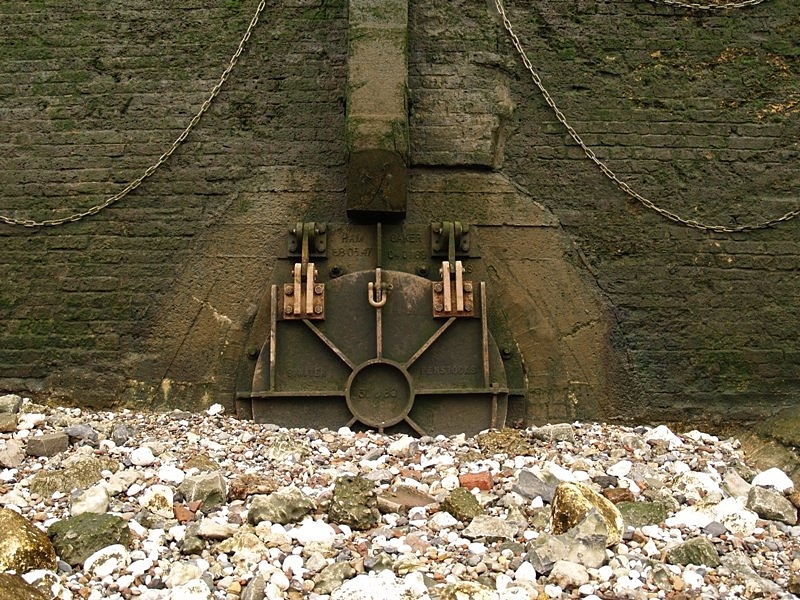 The Walbrook now runs completely underground and feeds a sewer. There is a street called Walbrook, which runs parallel to the river’s course. On the street is a church called St Stephen Walbrook, which originally stood on the west bank of the stream, but was rebuilt around 1439 on the east side. In 1666 the church burned down in the Great Fire of London and Sir Christopher Wren built a new church there in 1672 to replace it, which still stands. During the “Carnival Against Capitalism” in 1999, a fire hydrant was let off by protesters to symbolically represent the freeing of the Walbrook. Water erupted in a 40-foot fountain as people danced in the water .The protesters stated that the rivers and streams of London, were once freely accessible for swimming, drinking and fishing, but were then effectively stolen from commoners, first by pollution from factories and later by the enclosure of the rivers by developers. 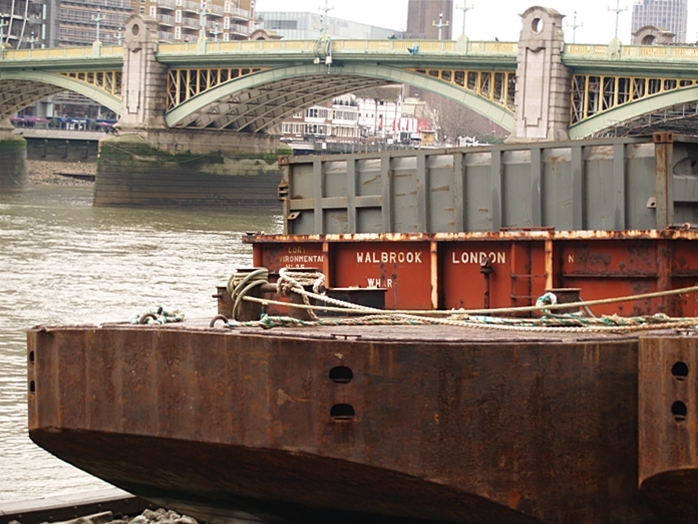 At the mouth is Walbrook Wharf, a small dock for container vessels to carry the city’s waste up the Thames to Essex. Here the remains of a landing stage formed of a Roman-tiled pavement was discovered in 1884.